The Seed Swap is back! Come get free seeds, bring your seeds to share, and learn about seeds like heirlooms and pollinator. Meet your local community gardeners and find out how you can get involved! 9 – noon at the Carbondale Community Winter Farmer’s Market! Have seeds to share? 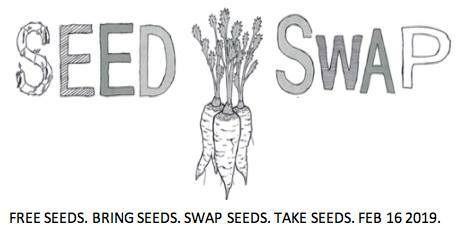 Contribute your seeds early by sending Washington Street Garden a message on FB OR bring them to the Swap!!! Don’t have seeds to share? No problem! Come and check out what’s on offer anyway! Free to all!